Airport: 25 km., Railway Station: 10 km. Hotel Coconut Grove Resort is a beach resort. Coconut Grove Resort Goa is one of the most recently opened hotel in Goa. Name is synanomous because of the hotel location admist the coconut trees. It's quiet location makes it ideal to relax and soak the sun rays on the endless stretches of white sand of Betalbatim beach, which is only a short walk away. 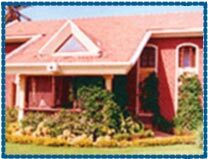 Provided the location of the hotel it is one of the most sought after hotel in Goa. 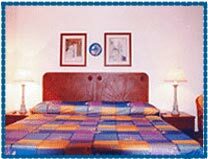 36 luxurious rooms and 2 cottages offered by the hotel are tastefuly appointed and have been decorated in true Goan style. The plush villa styled, tastefully designed and luxuriously appointed rooms are designed to cater to all the needs of the guests. Each room is equipped with a personal air conditioner and mini bar. Travel desk, Money Changer, Safe deposit boxes, Laundry facilities, Boutique & Souvenir Shop, Swimming pool, Indoor recreational facilities ( Table Tennis, Carrom ), Outdoor recreational facilities ( Water Polo , bicycles ), Water sports( Seasonal), Air conditioned rooms, Hot/cold shower with bathtub, Telephone with direct dial, Room Service, Tea / Coffee maker, Television, Mini bar, Writing table, Hair Dryer on request, Ceiling fan, Balcony, Sitting area in the room.